Lunar Eclipse: Is It Okay to Stare? Is It Okay to Stare? You’d be delighted to know that yes, it’s perfectly safe to stare at a lunar eclipse without the aid of any protective eyewear. You may use binoculars or telescopes to view the much-awaited phenomenon better; some people even go to observatories for this event. However, it’s a different story altogether when it comes to viewing solar eclipses. Optometrists strongly advise against staring directly at a solar eclipse, as excessive sunlight overwhelms the retina and can result in a mild to moderate visual impairment from which patients may not fully recover. A lunar eclipse happens when the sun, moon and Earth are all perfectly aligned, with the earth in the middle. The sun, being behind the Earth, projects sunlight onto the surface of the moon. This movement lends the lunar eclipse its reddish hue. What makes the lunar eclipse safe to view without any optometrist-prescribed eye gear is the fact that it’s still the moon we are looking at. The moon does not emit rays that are harmful to our eyes. 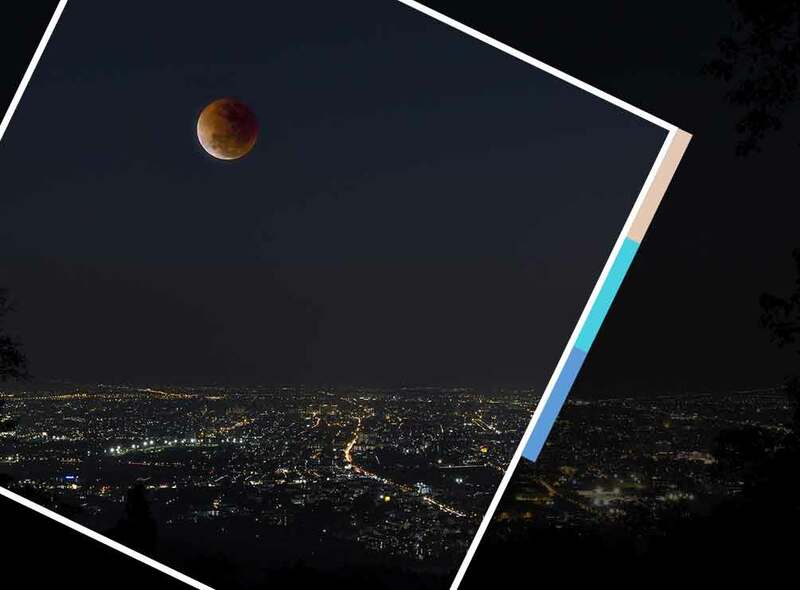 What’s the Best Way to Enjoy a Lunar Eclipse? A lunar eclipse viewing can be either a social or a solitary activity. There’s no one way to enjoy a lunar eclipse, although it can be made more pleasant through the use of binoculars or a telescope. Ensure optimal eyesight by visiting a highly competent optometrist, like our team at 20/20 Image Eye Centers. Call us at (480) 535-1276 in Chandler, (480) 535-1098 in Fountain Hills, (480) 535-1287 in Glendale, (480) 535-1051 in Scottsdale and (480) 535-1041 in Tempe. We serve Chandler, Fountain Hills and other areas in AZ.